There's no question that machine learning and AI are impacting the developing world. Here's what to know about traditional vs. machine learning. Most of the practitioners agree upon the neural nets proceeds while representing a shift in coding as currently, the industry has first interest in artificial intelligence which is entirely focused on data-driven AI. Is machine learning helpful to speed up traditional software development? We all know how AI is becoming a key aspect of modern software. Artificial intelligence and machine learning are continually growing due to its components which can be used again, even by people who aren’t pros. We need to analyze further the merits of using machine learning vs. traditional software development. The compilers are programs which are designed to process high-level programming language by converting it onto machine instructions that are easily understandable by machines. It also has the ability to fix old codes without needing the original source within a short period of time. This process helps to make a faster system in the next generation. Using the machine learning algorithms to provide software development services can be a great deal as you need to create the code once and use it multiple times. Definitely, it requires a month of planning if not a year to transform business requirements into technology products. This procedure can be shortened by using machine learning and few technical domain experts to develop natural language or visual interfaces. ML helps to develop quick prototypes as per the client requirements which can make an easy update. This helps the developers to concentrate on providing more services by receiving continuous feedbacks. The majority of the developers’ time is spent on either reading the documentation or debugging codes. To avoid this, intelligent programming assistants can help to reduce this substantial time by just offering in-time support and recommending relevant documents and code snippets. For instance, Kite for Python and Codota for Java functions like intelligent programming assistants to save time and energy of the developers. Usually, software development requires more budget and timeline than needed. But, all thanks of ML. You don’t really have to wait longer as machine learning helps estimate precise budget along with the time duration. The most reliable estimates require deep expertise, full context understanding and familiarity with the developing team. By using machine learning, it becomes easy to get an accurate estimation of the software development lifecycle. Comparing to the traditional software development process, the AI is expected to offer a complete solution by prioritizing the products and features by cutting down the unwanted analysis. After completing this process, AI comes up with the strategic decision making for the business benefits. An AI solution thus helps to get the precise results which help businesses to plan strategic decisions for future growth. It is an AI programming tool created in Zurich, which is expected to head up as an AI code assistant. Multiple rules from GitHub repositories are fixed inside the tool to instruct the programmers on how to fix code. To put it simply, it serves as a code reviewer that assists in finding errors in code. Overall it is seen that half of the code gets changed every month and this makes unlikely that the submitter and reviewer stay aware regarding the changing hotspot. This bug prediction tool uses ML algorithms and statistical analysis to look after whether the code is flawed or not. It also predicts the total number of lines in a code using the source-based metrics. The developer leveraged Stack Exchange data to crank out fully functional code based on the intentions which are inferred from the existing code. This tool helps to write the code automatically by creating a completion fragment for each node. We can conclude how AI can replace the traditional software development lifecycle and subvert the need for humans to get involved in technology development. 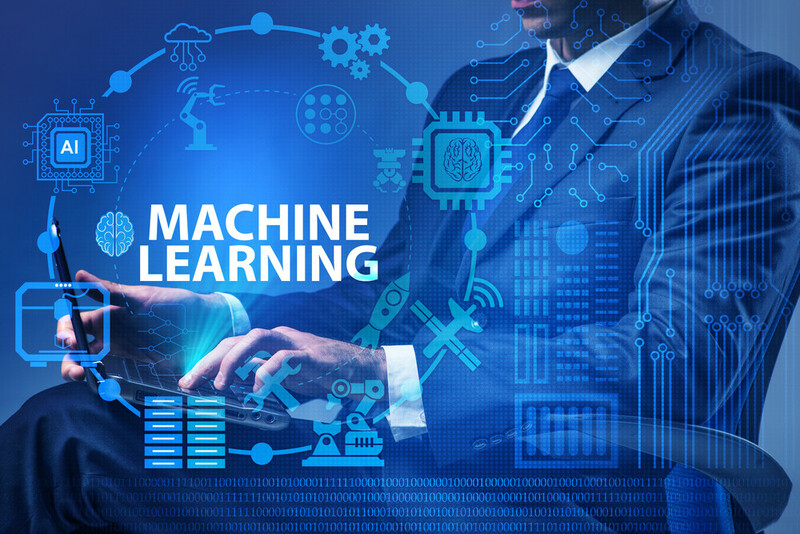 It is expected that AutoML solutions will have tremendous growth that aims to automate pieces of the machine learning model training process by reducing the workload and enable domain experts by training production-quality models. Key components such as data preparation, model search and tuning along with model deployment and scaling by solutions such as Driverless AI, Google’s AutoML and Sagemaker by Amazon. The future is taken away by the impact of artificial intelligence in every sector. The machine learning algorithms are opting out as the boon for the people around the globe from variant sectors. Thus, we can say the future is AI and can definitely expect a lot more exciting innovations ahead. Charles Richards strongly believes that knowledge is meant to be shared, for there is a lot we can learn from each other. His hobbies include photographing, reading, sharing technical insights, drinking wine, and traveling. He is currently working as a Business analyst at TatvaSoft UK.